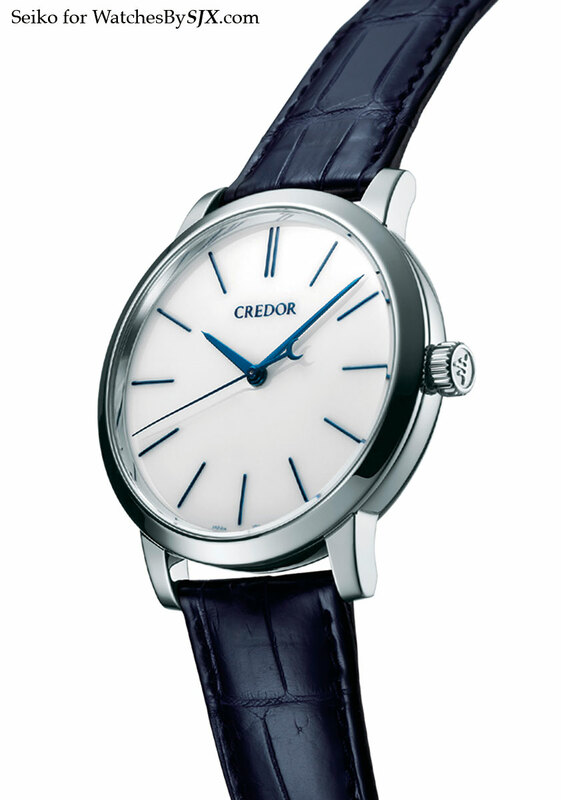 Seiko has just announced the long anticipated Credor Eichi II, featuring a slim, 39 mm platinum case. A hand-wound, time-only wristwatch with a remarkably fine movement finish, the Eichi II is to mark the 40th anniversary of the Credor line and the 15th anniversary of the Spring Drive movement. 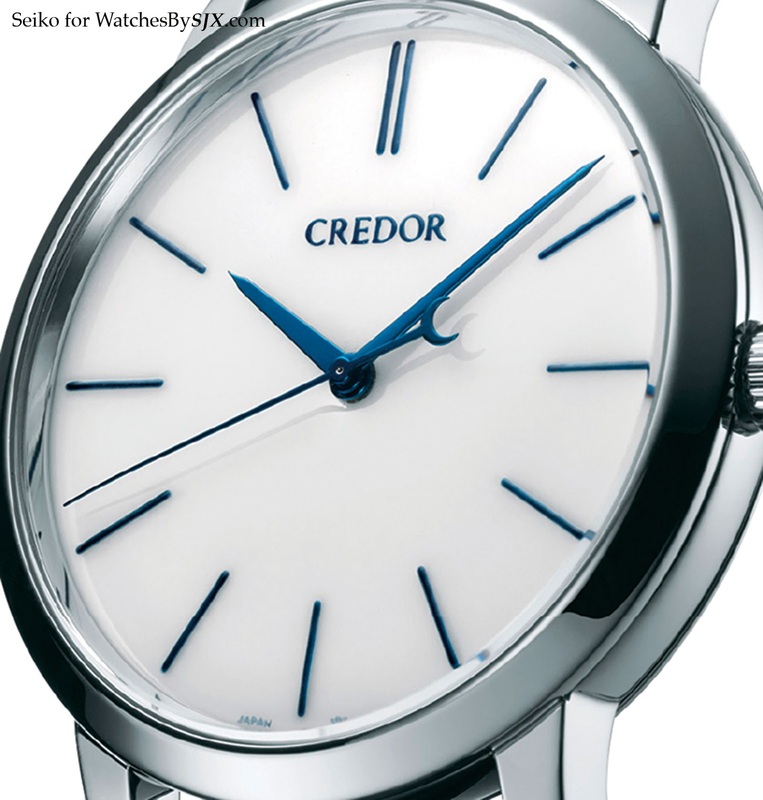 Envisioned to be an incredibly fine gentleman’s wristwatch, Japan’s equivalent of the Philippe Dufour Simplicity, the Seiko Credor Eichi was unveiled in 2008 and discontinued in 2012, after some two dozen were made. 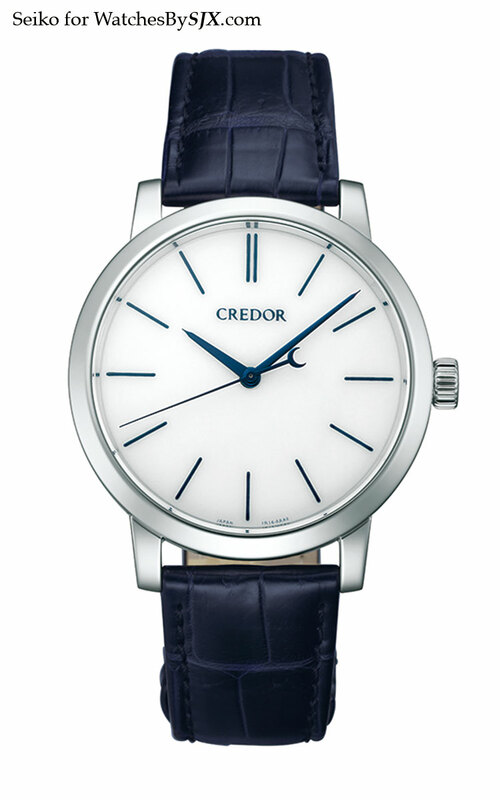 Now its successor has been unveiled, the Credor Eichi II (ref. GBLT999). Like the original, the Eichi II is an elegant, three-handed wristwatch with a platinum case. The movement inside is finished entirely by hand, to a standard that would put all but the very best to shame. Most importantly, the Eichi II is 39 mm in diameter, which makes it far more appealing than the 35 mm original. 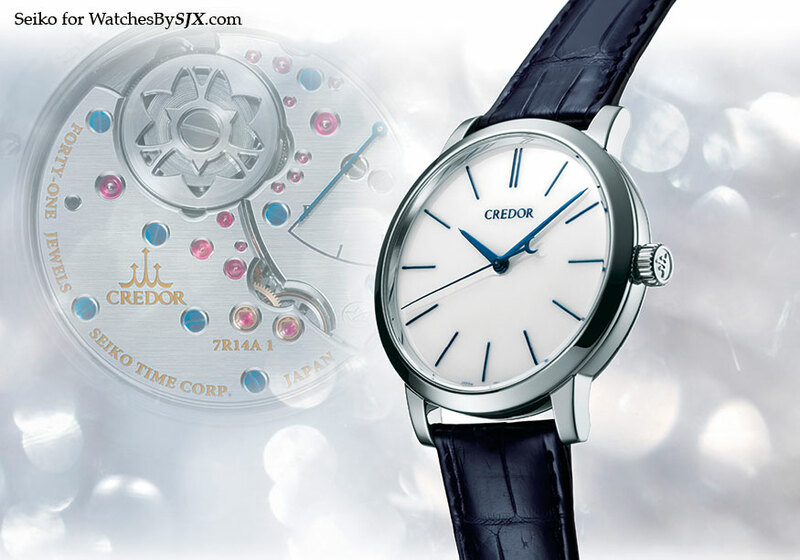 Like the rest of the top of the line Credor timepieces, including the Spring Drive Minute Repeater, the Eichi II is made by Seiko Epson’s Micro Artist Studio, located in Shiojiri in Nagano Prefecture. This tiny outfit of some 15 employees makes only handful of watches each year, including 20 Eichi II timepieces annually, with the goal of achieving the very best fit and finish humanly possible. Two members of the team actually travelled to Switzerland to study Dufour’s finishing techniques, even taking with them branches of Gentian wood Dufour uses to create the incomparable bevelled edges in the Simplicity. Though the watchmakers of the Micro Artist Studio have since found a species of tree in Northern Japan that achieves a similar effect, the inspiration for the original Eichi is still clear, and continues to be resonate in the Eichi II. The case of the Eichi – meaning “wisdom” – is platinum with a domed sapphire crystal with antireflective coating on the inside. Inspired by the snowy landscapes of winter in Nagano, the dial is pure white porcelain, with blued steel hands and blue indices. 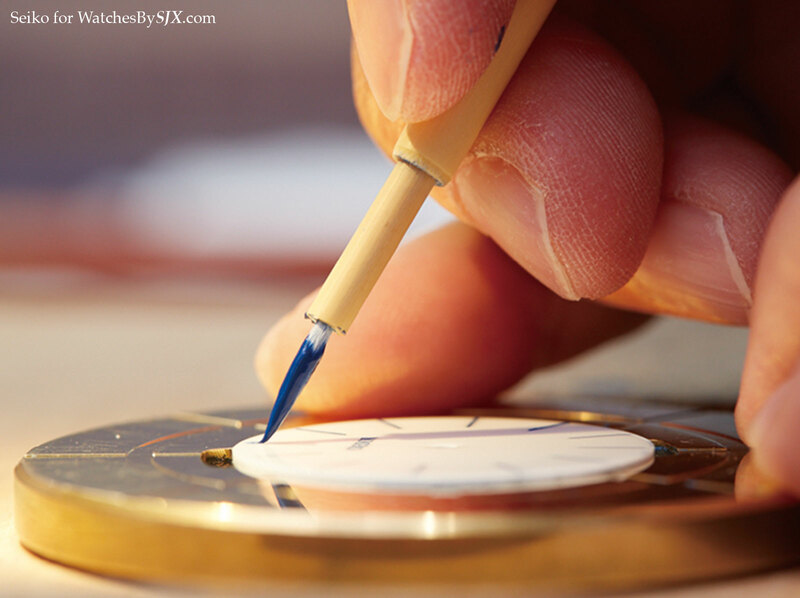 Because the dial is hand-made and hand-painted, it takes a day to make each one. Unlike the original Eichi, the new model has a clean, unadorned dial, without the oversized Arabic numerals that were a trademark of the Credor line-up in the past. Instead the power reserve is placed on the back of the watch. Relatively slim – the whole watch is just 10.3 mm thick – the calibre 7R14 movement inside has a 60 hour power reserve, thanks to a patented torque return system. A ratchet wheel beneath the barrel uses excess torque generated by the mainspring to rewinding the barrel. This increases the power reserve by a quarter; without the torque return mechanism the movement’s power reserve is only 48 hours. 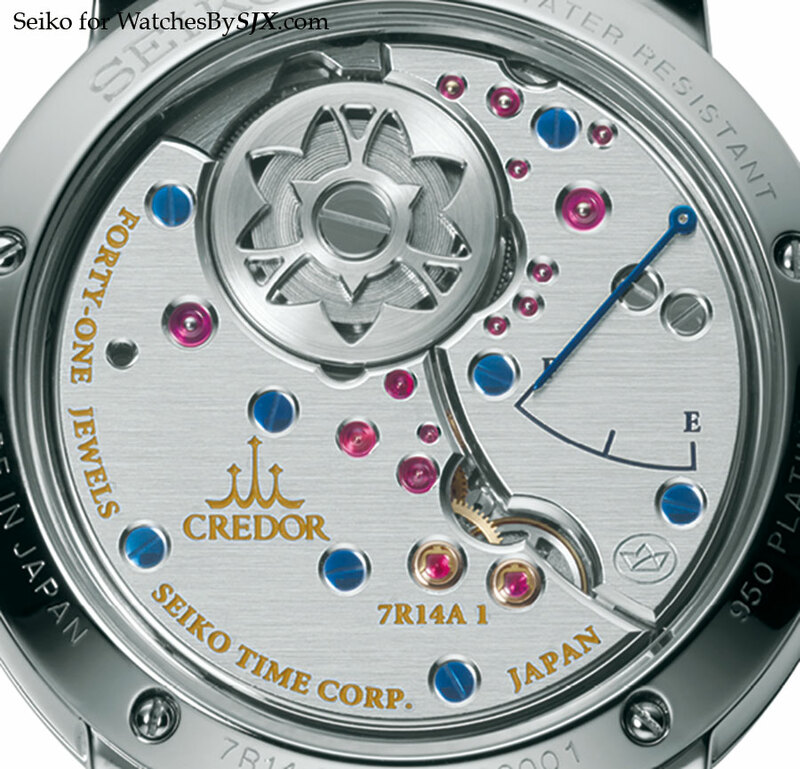 Though not identical to the movement in the earlier Eichi, the 7R14 is largely similar to its predecessor. Beyond the differences in the bridge shapes – this has fewer and larger bridges – it is also notable for the liberal use of blued screws, in contrast to the original that only had polished screws. Like the first Eichi, the new version has a Spring Drive movement, essentially a mechanical movement with a regulator that is controlled by an integrated circuit. So the mainspring and gear train are similar to a conventional mechanical movement, but instead of a balance wheel, the movement has a flywheel that spins in one direction. The frequency of the flywheel is regulated by a tiny electromagnet that accelerates or brakes as necessary to maintain constant timekeeping. That means the Spring Drive movement is remarkably accurate, to within 0.5 seconds a day. The Eichi II will retail for 5.5 million Japanese yen plus taxes, equivalent to about US$53,700 – exactly the same as the previous model. Delivery will begin on 10 October 2014. Addendum 12 April 2015: See the Eichi II in all its glorious detail in my photo essay.